My mother told me about Pack for a Purpose. She was browsing the internet when I told her that my friend and I were going to Curacao for vacation. I thought it was a great idea. The company where I work had many of the items listed on the school’s needs list. I’m not sure of the exact weight of what we took, but I can say it was a substantial amount. At the hotel, the Santa Barbara Beach and Golf Resort, I asked if I could personally deliver the supplies to the Fundashon Amigunan di Cristo afterschool program. I read founder Rebecca Rothney’s blog about her visit to the afterschool program and what a wonderful experience it was for Rebecca to meet the founder “Aunt” Emma and help prepare the lunch for the children. It was a nice experience for me to also be able to visit the afterschool program and to meet Aunt Emma and the children she helps. 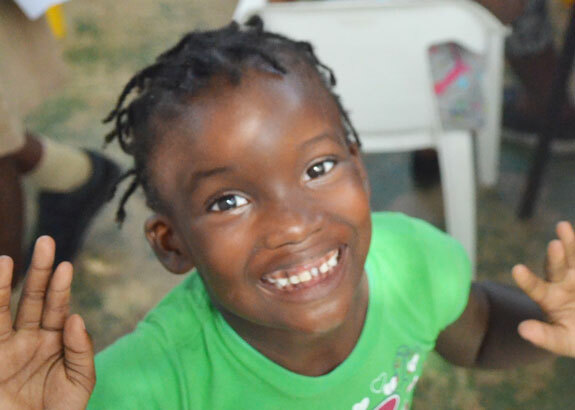 I learned there are so many kindhearted people in Curacao.